With the advent of technology, we are becoming more dependent on the things which are there at our fingertip. From buying dresses online to ordering food online and looking for doctors online to looking for bride and groom online, we are inclining more towards facilitating daily chores which are undermining our patience. Earlier we had a website for everything we want but with the passage of time and advancement of technology, we now have apps to serve the same purpose and in a much easier way. Unlike old school debate on online shopping vs offline shopping, now we have a different topic to debate on, mobile website vs mobile apps for startup. 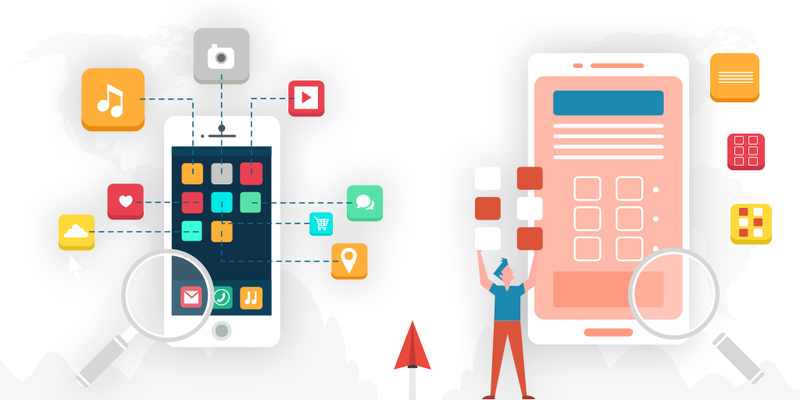 Let’s make a deep dive into the debate of mobile website vs mobile app for a startup for a better understanding. No matter you are a startup or an MNC, if you want to reach out to your potential customer then one of the best ways is to build something which is there at their fingertip. Mobile website vs mobile app for a startup, which is better? The mobile app needs to be downloaded first. Unlike a mobile app, a mobile website is easily accessible as your customers don’t need to wait for the download to be completed. So, here comes the role of customers taste whether the customer has this much patience to download the app or want to access it through a website. So, a mobile website will attract more customers as compared to mobile apps. Some websites fit within your mobile screen while others don’t. This is not a case with a mobile app. Mobile apps are built in such a way that your customers don’t need to adjust it every time. It automatically fits within the screen for a better experience. Customers find it difficult to reload the website time on their smartphones as compared to opening an app which is already in their mobile. Customers use the mobile app frequently as compared to the mobile website. This makes a difference in the number of mobile website users and the mobile app user. If startups want not only the attention of their customers but also wants to retain them so they should go for a mobile app. When it comes to the update of the app, the developer needs to update it every time and customers find it difficult to keep updating their app every time. A startup would not want their customers to miss any of their updates so it will be better to go for a mobile website. When we talk about the data which is there in the app, it is stored in the device itself. This may lead to the performance degradation of the device. On the other hand, the data which is there on the website remains on the server and hardly affects the device performance. So, startups can make their customers happy by engaging them on a mobile website rather than the mobile app in order to make their experience good. Security is one of the major concerns of companies. When it comes to security, preference between mobile website vs mobile app for a startup will go with the mobile app. There is a long list of security tools which makes the mobile app more secure as compared to the mobile website. So, the startup must choose an app in order to keep their content in privacy. In the era of the latest technology, no matter what you have at your fingertip to fulfil your wish. The ultimate goal of a customer to fulfil his wishes. All a company wants is to fulfil their wishes and retain its customer forever. So, we can bring the debate on mobile website vs mobile app for a startup to a conclusion by saying that the purpose must be the deciding factor. When it comes to startup, newbie needs to keep everything in mind before investing their time, money and efforts. Each penny investing in a startup must bring something fruitful.